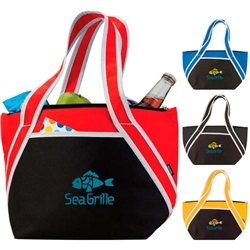 Promotional Trapezoid KOOZIE® Kooler Bag is made from non-knitted polypropylene. Custom Cooler Bag comes with carrying handles and 8" depth. 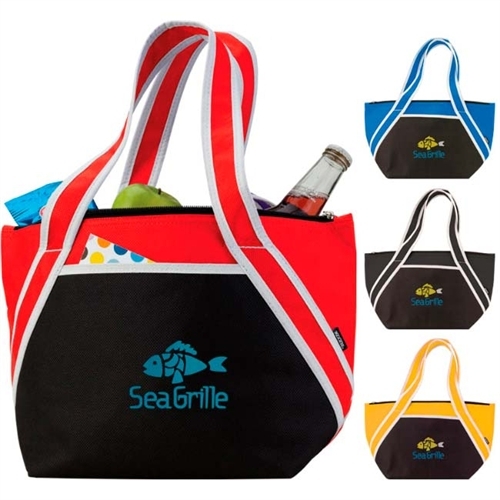 Promotional Trapezoid KOOZIE® Kooler Bag is available in 4 colors: Black, Red, Royal, and Yellow.